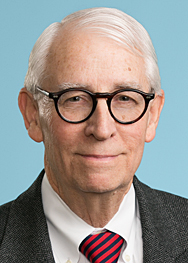 On September 26, 2014, a divided panel of the U.S. Court of Appeals for the Third Circuit reversed the U.S. District Court of the Middle District of Pennsylvania, holding that Columbia Gas Transmission Company, an interstate natural gas company regulated by FERC, has the right of eminent domain granted by 15 U.S.C. § 717f(h) to obtain easements over the land of objecting landowners, even when such new easements would be located outside of the existing right of way, in order to replace a deteriorating pipeline that is now located in a heavily populated area of Pennsylvania. The case is Columbia Gas Transmission, LLC v. 1.01 Acres, More or Less in Penn Township, York County, Pennsylvania, Located on Tax ID# 440002800150000000 Owned by Dwayne P. Brown and Ann M. Brown, et al. To obtain these easements, Columbia filed Complaints of Condemnation in federal court against four landowners. The District Court denied Columbia’s request, holding that the implementing FERC regulation was ambiguous, and the court therefore “looked outside the regulations” and determined that the agency’s interpretation was not entitled to deference. Columbia had received a “blanket” certificate of convenience and necessity from FERC, which the majority of the Court of Appeals held provided the holder of the certificate with the authority to conduct a routine activity of replacement without further authorization by FERC. According to the Court of Appeals , the applicable FERC rule was not ambiguous, and must be enforced, although the Court of Appeals also noted that this right was subject to certain limitations including environmental compliance. Referring to the Supreme Court’s recent decision in Utility Air Regulatory Group v. E.P.A., 134 S. Ct. 2427, 2442 (2014), the court held that the statute as a whole must be reviewed before its parts could be considered to be ambiguous. Finally, the Court of Appeals granted Columbia’s request for preliminary injunctions, allowing it to take immediate possession of these easements. The dissenting opinion concluded with this observation: “It is disturbing and encouraging that, by today’s ruling, the Majority endorses a view of delegated sovereign power so broad that a private gas company, with no agency oversight or other significant procedural restraint, can take the property of other citizens far removed from that company’s original right of way”.